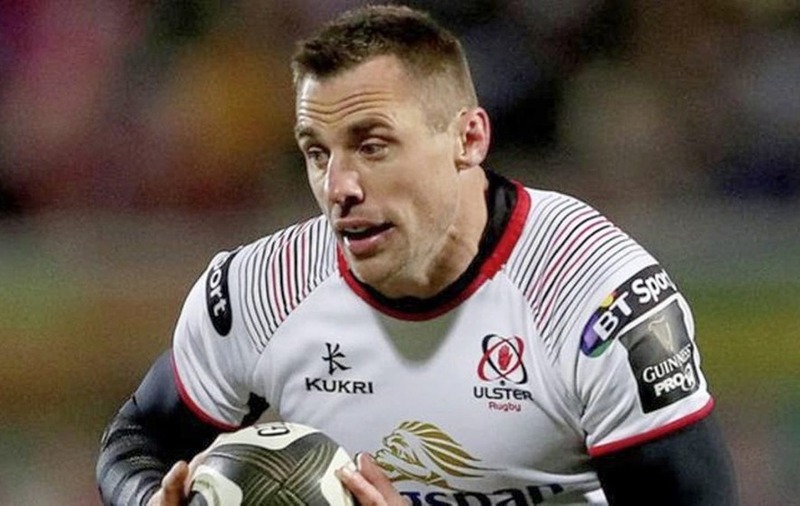 TOMMY Bowe will be out of action for up to eight weeks after sustaining a shoulder injury in Ulster's hugely disappointing 38-7 defeat to Leinster in Saturday night's PRO14 game at the RDS Arena. 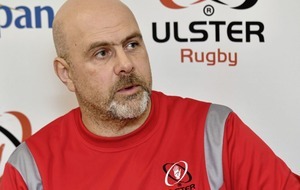 However, there was a crumb of comfort after another dismal performance when director of rugby Les Kiss revealed that Ulster have found a replacement for fly-half Christian Leali'ifano. The 19-times-capped Australian international will be returning to the Brumbies after the upcoming back-to-back European Champions Cup games with La Rochelle and Wasps. He was signed on a short-term contract to act as cover for the unavailable Paddy Jackson and has scored 47 points in his 15 appearances to date although he failed to add to his tally on Saturday night in what was his last PRO14 appearance. As regards Bowe, his latest setback will end any slim chance he might have had of making it even into an extended Six Nations panel although he has slipped under national coach Joe Schmidt's radar of late. "It looks like it's around the sternum but we're doing more tests. The doc said weeks, so that could be anything getting up to eight. That's a shame for him." explained Kiss. "We have got a new person to replace Christian and we will announce that in due course. It's an overseas player and all that has been cleared, so no problems, just a few details remain to be sorted. "Christian has two more games and he's done a really good job. There's no doubting what he's done for (Ulster's other fly-halves) Pete Nelson, Brett Herron and Johnny McPhillips, who had a good impact (against Leinster). "He's been a good influence on those young guys. We've said all along that we want to make sure we've someone in there with a bit of experience and that'll be announced in due course." While confirmation of a new signing will be greeted with some enthusiasm by the increasingly disgruntled Ulster fan-base, their immediate concern has been the team's poor form going into Saturday's La Rochelle game, epitomised by another abject display, in the main, at the RDS. Ulster conceded six tries to make the total 15 in the last three inter-pro matches when 99 points were shipped in all. "I don't think they're that much better than us. It's a reflection of the inconsistency that we showed that gave the opposition a chance to hurt us." said Kiss. "We defended stoutly for periods but then they turn us over and have scored three phases later. "It's a bit of a spiral at the moment. It's not ideal and it's hurting us. "That's the nature of what we're looking at at the minute. That inconsistency and not being able to deliver a constant dependable style of rugby that we can rely on." Leinster full-back Jordan Larmour was the tormentor-in-chief, scoring himself in the sixth minute and then playing a part in a second try for Barry Daly as some porous defending saw Ulster trail 12-0 after only 16 minutes. Fergus McFadden scored a third try 10 minutes into the second-half to end the game as a contest and the 31-year-old got another touchdown before Larmour got on the board again. Stockdale went over with eight minutes left after collecting a basketball-style pass from McPhillips and John Cooney added the extras. But British and Irish Lion Johnny Sexton completed the rout in stoppage-time after Ulster had coughed up possession at the other end of the pitch to sum up a miserable night. "If you're going to give the ball to the opposition when you've worked hard to get it back, you're not going to survive long against a team like that." Kiss added. "It comes down to being disciplined when we've got the ball. We've got that little bit of a gap at the moment when we're not quite on top of it. "We talked about our error rate both sides of the ball. It just wasn't good enough but we've have a chance next week to respond and that's our focus going forward." "La Rochelle are one of the best teams in Europe although they've had the odd blip away from home in the Top14 and in Europe but we'll have to be better, that's for sure."